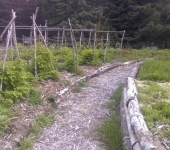 Raspberries in the middle of garden, what to do? I didn't read the whole thread, so I'm just addressing your concerns of them spreading. Yes they will definitely spread, so think of it as an opportunity for someone. See if you can get 2 or 3 gallon pots, maybe from a landscaper who throws them away; then use a flat shovel to trim those rhizome type root runners of back at the bed, and dig the trimmed off start up for transplant into a pot. If you can get free discarded pots and some good bulk potting soil every season, around the the same time these new rhizomes will be comming up. You can easily propagate your raspberries for and additional income stream, or to expand their production elsewhere. When the starts are (just coming up), they propagate/transplant fairly well for quick establishment in pots, that could be sold off, or given away in 4 to 6 weeks. A tall sprinkler on a timer could make the additional work of watering these pots low maintenence untill they are ready for sale. You can run an add in cragslist or other free classified adds to sell your new product. On the bulk soil aspect, mixing your own is easy. That way you can make sure the pH stays acidic by not adding lime. This would be a are great project for kids. So if you're not up for it, but know someone who is, just show them how. Then your raspberries can get maintained in a symbiotic type relationship benefiting all parties involved. All you have to do is click the Purple Moosage icon on the top of your page. It says Purple Moosage. It will take you straight to your inbox, where you can send and read messages. Im guessing as a rental, establishing major land structures and tree plantings won't be practical. Yet you can establish a market garden, and incorporate swales in your layout so if or when you have a lease agreemen, you can determine if its practical to implement more permanent things like swales. That way you can work around your production bed, since a market garden is what will bring you a definite return this season. 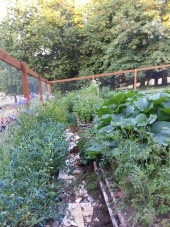 Its might not be as much permaculture as you were dreaming of, but sometimes you have to work your way into permaculture, if your trying to grow food immediately. Check out Curtis Stones Urban Farmer channel on YT, to see how he makes lots of produce in small spaces using market garden techniques. You want quick turn over crops, that are in high demand, and that means varieties liked by consumers. You will most likely have to till, to establish these beds, at least this year, unless you can bring in enough compost to smother the weeds. Also I think its Richard Perkins YT channel,who also has some permaculture type market gardens you may be able to gleen from. If you need more suggestions just ask. As a rental that can have the rug pulled out from under you, I would get a solid lease contract signed. So you at least know how many years you are guaranteed the space. I mean after you make all the infrastructure improvements, create fertility, increased the property value by incorperating permaculture; then planting things like perennials and or a food forest. It can give incentive for owners who understand rental laws and their rights as property owners/landlords, to simply serve you notice to evacuate, then step into the turn key operation you just spent the last year or two building. Thats why a lease is important, including lease duration, and your rights. So you know how long your legally gaurenteed the land. What people say is irrelevant to the applicable law, and you must get everything in writing under contracts that protect both parties, ie a proper lease agreement addressing all concerns. Then you can evaluate labor/material cost of improvements, to calculate if you have time to get an adequate return on your labor or financial investment. Like I said, its most likely not going to be profitable beyond a market garden this year, and if you don't have a long term lease agreement that also mitigates if you can even legally dig up a perennial you planted, that under some rental laws is considered a permanent improvement owned by the landlord the minute you plant it. 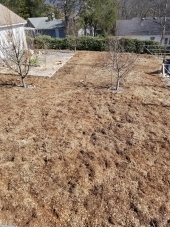 These things are all important, to determine whats most beneficial for you as a renter, as everything you do will inadvertently benefit your landlord, who will at minimum benefit by having a rough feild turned into a garden space ready for planting, with increased fertility. Hope that give you a few things to consider. Cheers! Can you operate and respond to Purple Moosages? I'm interested in learning more, and was thinking that may be a better way to exchange information. Your going to want a multi faceted operation. Im not sure of your terrain, soils or climate, since this all maters for best application. But as the previous person mentioned, earthworks for water retention will be great for that purpose if you have the budget to implement that first; however, a multifaceted operation can be done without that aspect if you have enough precipitation, water and conventional irrigation to meet the needs of that operation, untill earthworks can be afforded. 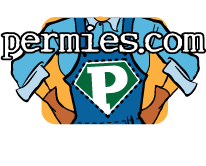 You'll want orchards, perennial bushes, like berries, perennial gardens, like herbs, and market beds if possible. You'll also want to incorporate animals like chickens, cows, and maybe sheep if possible. So that means pastures for rotational grazing, and making hay if possible. If there are particular fruit bearing trees, known to perform well in that area, without additional imputs or diseases/pest problems, those are a good option, and the same with every other bush or plant used in your plan, right down to choice of feild grazing plantings. This of course requires more planning then just the basic idea layed out hear, but if you have more information on your situation/location, like terrain, climatet, soils and region. I could try to help come up with a plan, and plan of action in implementation that fits your circumstances. Cougina, whats the problem with most folks? Maybe if you can be more spacific with they types of individuals your not looking for, it will save you waisted time and energy in the future. I would definitely try inoculaing those wood chips with certian edible mushroom spawn, or plan for ways to start incorporating that into your woodchip layering system. For mostly hardwood chips King Stropheria mycelium, and for conifer dominant chips blewit spawn would be worth looking into. Regardless of the plants or bushes you decide on planting, those mycelium strains will help build and feed your soil, while also providing an extra edible food or market resource from your property. If your looking for a nitrogen fixing green crop, which I would recomend. I would go with an annual, like crimson clover. It will fix nitrogen in the chips, add nitrogen to the surface, help ballence the nitrogen carbon ratios, will reseed if wanted, feed beneficial-insects, look beautiful in bloom, or can be terminated before reseeding by rolling or crimping before it makes seed. How much pruning do they need? What shape and health are the trees in? How old are the trees? What are your goals for this pruning cycle, and how much previous pruning have they had? How much pruning needs to be done over all? What types of fruit trees, scion varieties and rootstocks are they if known? What stage of budding are they? All these things can determine what type of pruning, how much, and when is ok to prune. You can definitely do deadwood, and potentially redundant crowded crossing branches, as those are things the tree typically won't miss at any point. I would also advocate that restoration or restructuring be done over several dormant seasons, keeping the overall prunings not to exceed 20% per year.